Ay-O is one of Japan’s foremost avant-garde artists. He joined the Demokrato Artists Association in 1953, and when he moved to New York in 1958 he joined Fluxus. 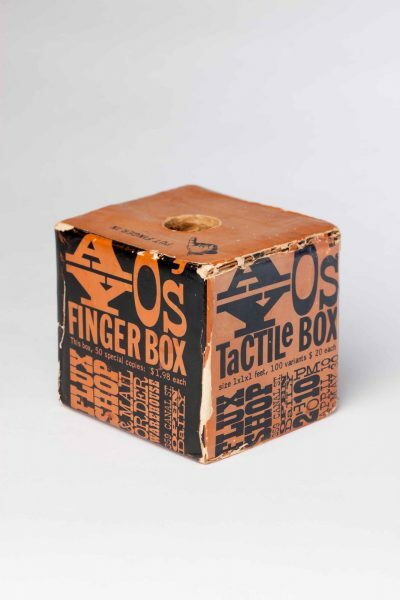 He is best known for his ‘Finger Boxes’ and rainbow prints, paintings and installations. Ay-O represented Japan at the 1966 Venice Biennale and the 1971 São Paulo Biennial. Retrospectives of his work were held in the Fukui Art Museum in 2006 and Hiroshima MOCA in 2013.